SULTANPUR: Though the state government announced a special cess on liquor to fund shelter homes for stray cows, the ground reality is dismal, particularly at the cramped Haliyapur gaushala at Sultanpur, where more than eight cows died in seven days. Two fresh deaths were reported on Monday at the cow shelter, which was inaugurated with much fanfare on January 14. 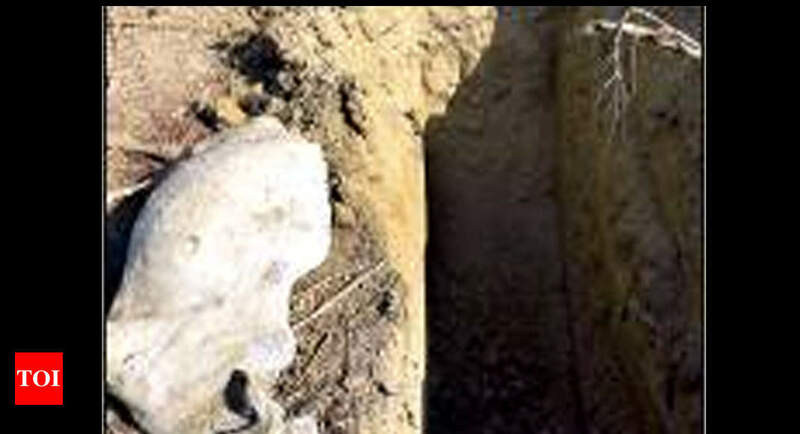 A TOI recce of the cow shelter at Baldirai tehsil in Sultanpur district on Monday found 700 heads of cattle confined to a 500×1000 metre plot with a deep trench around to ensure bovines don’t venture out. A team of officials led by government veterinary Dr Inderjeet Verma was seen busy tagging bovines, when TOI visited the site. Many of the cows appeared ill or undernourished. TOI found a cow lying dead and another critically ill. Officials were waiting for the autopsy report before burying the bovine. Pratipal Singh Chauhan, sub-divisional magistrate of Baldirai tehsil, said the administration has made adequate arrangements to ensure cattle are well fed. “We are managing 4 to 6 trollies of fodder that amounts to 800-1000kg of feed per day for 700 animals,” said Chauhan. However, locals said fodder was inadequate and feared could lead to starvation deaths. Awadhesh Pratap Singh, representative (husband) of village pradhan Richa Singh said villagers and the administration are arranging fodder, but only enough to spare 1.5kg-2kg per day per cow, which experts say is not enough. But veterinary officer, Dr Inderjeet Verma confirmed at least 15kg of fodder is required for an average adult cow to survive.